Shaun Johnson’s transfer this pre-season after 162 games with the New Zealand Warriors to the Cronulla Sharks came as a massive shock. At 28, Johnson is already the Warriors leading all-time point scorer, with 915 points, so there is no little doubt that a massive hole that needs to be now filled across the ditch. From a SuperCoach perspective, Johnson has been one of the few dependable guns in the half position over the past few years with season averages of 64, 72, 69, 71 and 69 across the past five years. His transfer to the Sharks not only matters on the field, but is of the upmost significance to us in SuperCoach land and requires analysis. So let’s take a closer look at the winners and losers from the transaction. 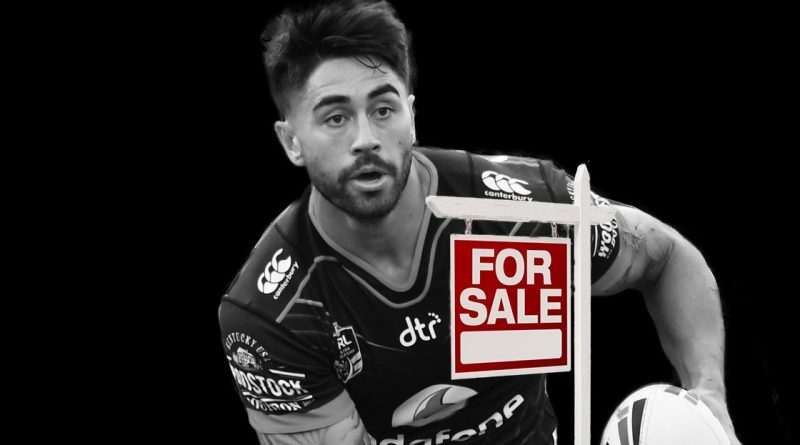 Shaun Johnson – He gets to leave New Zealand. In addition to this fantastic prize, he joins a better side that should be more consistent than the Warriors across the season, despite the loss of Valentine Holmes. With Holmes leaving (he had assumed the goal kicking duties from Chad Townsend late in the season), Johnson should take on the goal kicking duties at the Sharks, resulting in him not losing any points. Cronulla’s right edge unit – Tohu Harris and David Fusitua averaged 10 more points per game with Johnson in the side last year. SuperCoaches – We may now have a boom cheapie on our hands at the Warriors with Chanel Harris-Tavita ($168k) a chance to win the halfback role in Johnson’s absence. Keep in mind that Mason Lino has also departed the Warriors. Hayze Perham ($168k) was also nominated as an option recently by Warriors coach, Stephen Kearney. Chanel Harris-Tavita – He now gets his chance in the big league, possibly ahead of when he expected it to come. Cronulla Sharks – This is a boom recruit for the Sharks. As a Broncos fan I would have personally loved to see Johnson team up with Anthony Milford in the halves. The loss of Holmes hurts, but Johnson is a great addition to the attack and this also allows Matt Moylan to shift to fullback on a full time basis. Matt Moylan – Moylan played two games at fullback last year with scores of 83 and 22, which is of course inconclusive. In 2017 Moylan started at fullback on 10 occasions for an average of 62, compared to an average of 56 in 8 games from the halves. A 10 point jump in average for Moylan would be handy and see him possibly start undervalued in 2019. Tohu Harris / Issak Luke – Johnson and Lino were the Warriors goal kickers in 2018, their absence causes a huge headache given that there are no standout replacements. Of their options, which also may include Harris-Tavita given he has been kicking goals in the NSW Cup, the Warriors have Harris and Luke who have both shown an ability to goal kick previously and may be called upon early on in the season. The addition of goal kicking points to either player is a bonus and would counteract Harris’ loss of attacking points without Johnson and Luke’s potential for limited minutes. The New Zealand Warriors – How this makes sense for them I have no idea. Johnson is still very much in his prime at 28 and is the clubs leading point scorer. When others around him have been fluffy and inconsistent, Johnson has been one of the real shinning lights at the club. The Warriors right edge at time last year looked scary. So what now? They have not recruited an experienced player to come in and take over and have also lost the potential direct replacement in Lino. Chad Townsend – Johnson over his career has kicked at between 75-80%, which far surpasses Townsend’s career average of just 66%. You’d think based on this that Johnson assumes the goal kicking duties and Townsend misses out on these points in 2019.
lol poor nick …what an offseason ! Sharpies fans under the hammer as well . What was SJ thinking ? SJ must have a thing for playing for clubs in turmoil. Am i mad for considering Dugan now he will be playing outside of Johnson?